Access to public transportation is a civil right long denied to many with mobility issues. Photo by: Brandy Butcher, via Free Images. Amityville, NY - August 18, 2017 - Standing outside of the Amityville Long Island Railroad (LIRR) station today, Senator John E. Brooks and Assemblymembers Kimberly Jean-Pierre and Christine Pellegrino signed a letter to the LIRR calling on them to develop renovation plans at local stations to provide access for individuals with disabilities and comply with Americans with Disabilities Act (ADA) standards. Nearly three decades after the Americans with Disabilities Act (ADA) was made the law of the land, Long Islanders with disability and mobility issues are still unable to access LIRR transportation at many stations. At a recent town hall meeting, Senator Brooks met Raymond Harewood, a disabled United States Air Force veteran, who must travel five miles from his home in Amityville on his scooter, along busy streets, to reach Massapequa, the closest accessible LIRR station. In Senate District 8, there are four consecutive stations without elevator access: Massapequa Park, Amityville, Copiague and Lindenhurst. As a result, individuals with disabilities must travel far too many miles to reach an accessible station. Brooks, Jean-Pierre and Pellegrino were also joined by Suffolk County Legislature Presiding Officer DuWayne Gregory, Amityville Mayor Dennis Siry, Independent Living, Transportation and Disabilities Advocates, and local residents affected by inaccessible LIRR stations. 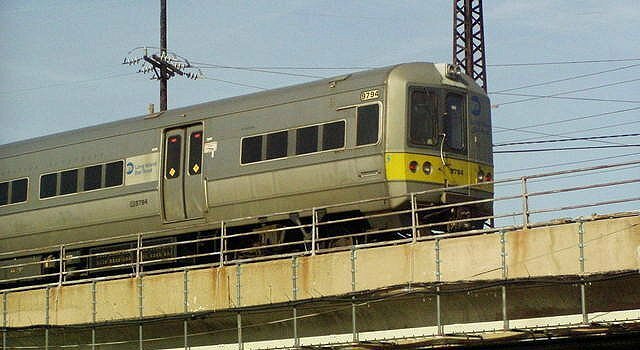 Assemblywoman Christine Pellegrino said, "Veterans, children and all people that are unable to navigate stairs or escalators have the right to access the Long Island Railroad. I am calling on the MTA to implement an upgrade to these stations that is long overdue and make them fully accessible. This is one of many issues that we need to improve to make the LIRR work better for Long Island families." Mayor Dennis Siry, Village of Amityville said, “Unfortunately, MTA bases their priority of maintenance and improvements on ridership. This leaves the smaller villages, where ridership is lower than larger populated towns, at a disadvantage. In our Village’s case, we are left lacking what we consider necessary amenities and important quality of life issues. We are looking forward to working with the MTA to rectify their policy and procedures so they are deemed equal and nondiscriminatory to all MTA riders. Subject: LongIsland.com - Your Name sent you Article details of "Brooks, Jean-Pierre, Pellegrino Call For Accessibility At LIRR Stations"